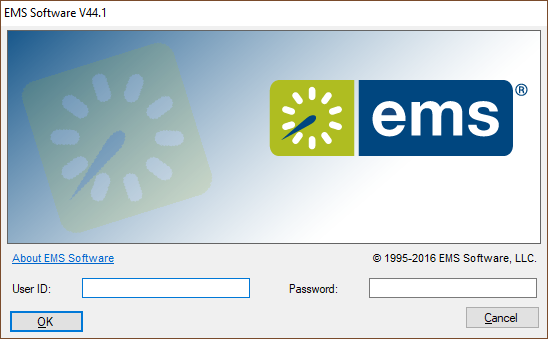 How to use the EMS Client on a Macintosh. 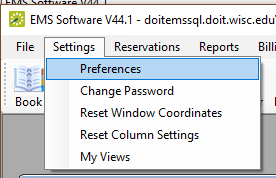 The simplest will probably using the campus Windows Access Facility. This document is for this method. The other methods, see your department support person. First step is to contact the campus Helpdesk (DoIT) and request that your campus netid be granted access to the Windows Access Facility. It may take a couple days before access gets granted. When prompted for a login, enter your campus NetID and password. 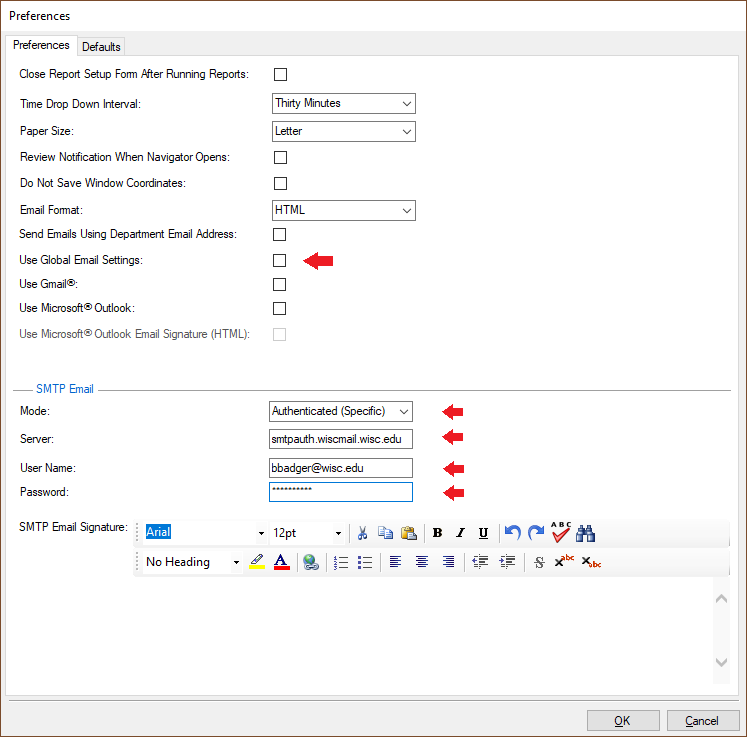 Uncheck "Use Global Email Settings"
Change Mode to "Authenticated (Specific)"
Fill in Server with "smtpauth.wiscmail.wisc.edu"
Now exit the EMS Program. There is a bug where it won't take the preferences until you restart the application, so sending any email confirmations won't work until the next time you start the EMS application.